In just three days, Christie's New York has sold over $1.7 billion worth of art. Star features of their Impressionist and Modern sales were ACS artists Piet Mondrian, Lucian Freud and Alberto Giacometti. In the Impressionist and modern sale, Piet Mondrian’s 'Composition No. 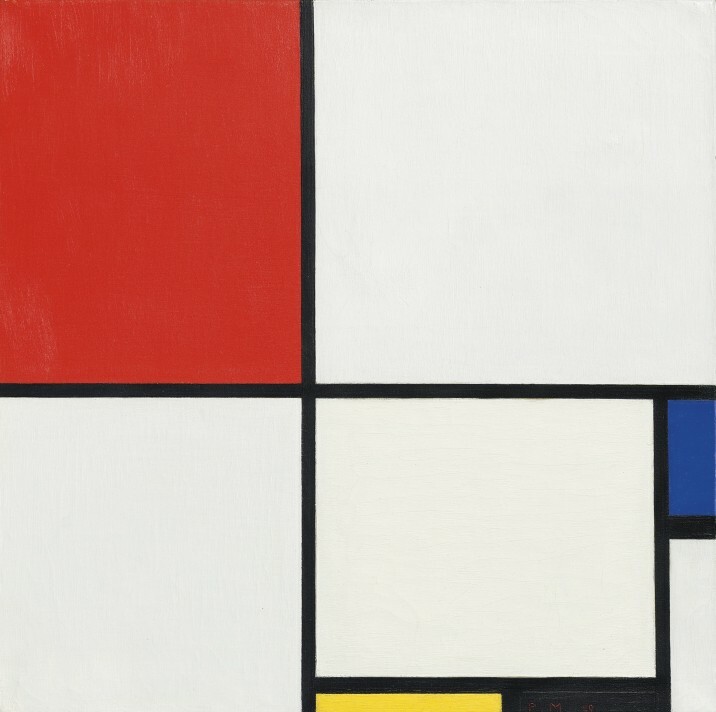 III, with Red, Blue, Yellow, and Black' (1929) sold for $50.6 million, over twice its high estimate of $25 million, setting a new record for the artist. 'Benefits Supervisor Resting' set a new record for Lucian Freud, selling for the remarkable sum of $56.2 million. Life sized sculpture 'Pointing Man' by Alberto Giacometti sold for an astonishing $141 million, breaking not only the record for work by the artist but the sculpture auction record, also.